Cherry blossoms are beloved natural treasures in Japan, and symbols of birth, renewal, and the impermanence of life. The ancient Japanese tradition of enjoying the blossoms is called hanami, or flower viewing. Japan has laid the foundation for hanami in the United States by gifting cherry trees to American cities for over 100 years. Cherry blossom celebrations now draw millions of visitors annually to parks, museums, botanical gardens, and city centers. 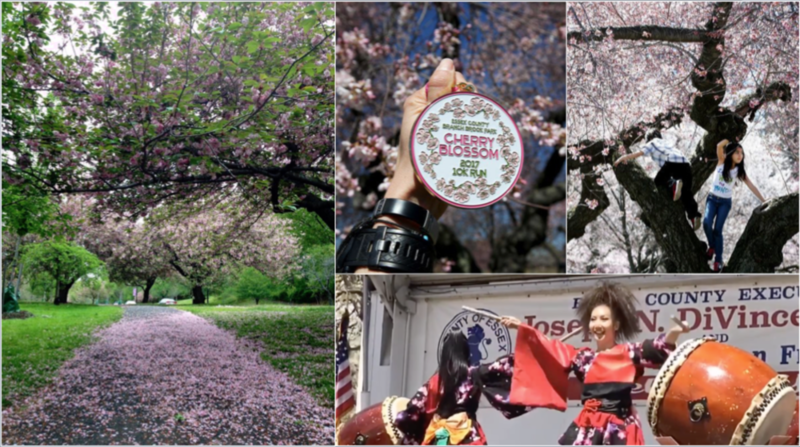 The longest-running cherry blossom festivals in the U.S. feature signature events that bring fans back year after year. At the National Cherry Blossom Festival in Washington, D.C., one clear favorite is the Blossom Kite Festival. Enthusiasts visit from all over the world for this showcase of kite craftsmanship and thrilling kite maneuvers. The skies around the Washington Monument fill with kite ballets, adult and youth kite competitions, Hot Tricks Showdowns, and thrilling Rokkaku Battles between master flyers “fighting” to bring down each other’s 6-sided kites. In Philadelphia, Sakura Sunday is the signature event of the Subaru Cherry Blossom Festival. 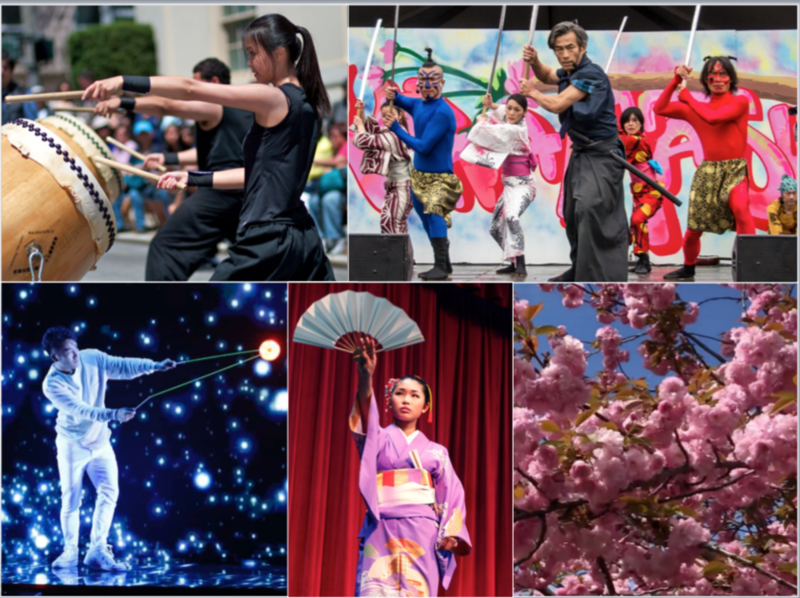 Sakura Sunday is an all-day celebration of Japanese culture, including taiko drum performances, cosplay fashion shows, and martial arts competitions, as well as arts and crafts, karaoke, and much more. The festivities are held at West Fairmount Park’s Horticulture Center, home to hundreds of blooming cherry trees – including two from 1926. A new addition to Philadelphia’s festival this year is an all-ages talent showcase for acts tied to Japanese popular culture. The multi- and single-day festivals highlighted below are a representative sample of cherry blossom celebrations that are taking place throughout the United States this spring. The National Cherry Blossom Festival is an extravagant celebration of spring blooms, the enduring friendship between Japan and America, and Japanese art and culture. This year’s event features world-renowned performers at the opening ceremony in the historic Warner Theater, fireworks at the D.C. Wharf, the popular kite festival, and the high-energy cherry blossom parade. Festival events at the Smithsonian American Art Museum include taiko drumming, dance and music performances, a scavenger hunt, and Japanese arts and crafts. The Festival culminates in a notable Sakura Matsuri street festival, the largest one-day celebration of Japanese culture in the U.S.
San Francisco hosts one of country’s largest cherry blossom festivals, a celebration of Japanese and Japanese-American culture old and new. Events are centered around one of the few remaining Japantowns in the U.S. and showcase taiko drummers, Japanese folk dancers, musical performers from Japan, a festival queen program, crafts, films, martial arts demonstrations, and a boisterous grand parade. The fusion of Japanese and American pop culture is celebrated with anime, gaming, fashion, music, and dance in the Sakura 360 area of the Festival. New Jersey’s cherry blossom festival offers plenty of action: the Cherry Blossom Challenge bike race through Branch Brook Park, a 10k run through the park’s historic cherry groves, and a one-mile cherry blossom fun/run for children (last year, over 1,000 kids participated). Festival Family Day features entertainment in the park’s concert grove, paddle boats, hula-hooping, face painting, crafts, and much more. The Festival’s grand finale is Bloomfest, with a packed schedule of Japanese cultural demonstrations, children's activities, live music, food, and a crafter's marketplace. The Brooklyn Botanic Garden is home to one of the oldest and most expansive collections of Japanese cherry trees in the country – the Garden features an impressive 26 varieties of Japanese cherry tree. A month-long focus on the unfolding variety of blooms culminates in a two-day Cherry Blossom Festival of family-friendly musical performances, games, workshops, Japanese cultural and arts demonstrations, and a lively Japanese market. Ahead of the festival, enjoy a virtual tour of the park’s Cherry Esplanade in bloom. This festival is an annual celebration of Philadelphia’s rich connections to the culture, arts, industry, and natural beauty of Japan. Activities happen throughout the area and include 5k and 10k Cherry Blossom Runs, taiko drumming, music and dance performances, cosplay, traditional cultural arts and martial arts demonstrations, tours of Japanese gardens, and Sakura Sunday, an event-packed celebration of traditional and contemporary Japan amid the hundreds of blooming trees in Fairmont Park. This annual celebration of cherry blossoms began with a 1976 gift of 1,000 cherry trees from the Prime Minister of Japan to the city of Seattle in commemoration of America’s bicentennial and the long friendship between the people of Japan and Washington state. This year’s event at the Seattle Center celebrates Japanese culture with musical performances, films, games of Go, crafts, calligraphy, origami, paper cut arts, woodwork, Samurai armor, kids' activities, storytelling, and food and gift booths. The Bowers Museum welcomes the season with traditional Japanese dance, music and art. Each year, the festival introduces a new cultural experience; this year, Heartland Singers will share Japanese anime and video game music with an a cappella twist. The annual Nashville Cherry Blossom Festival is a family-friendly celebration of spring and Japanese culture. The festival offers Japanese music, martial arts, creative activities and demonstrations, and more. This is a representative sample of upcoming programs. Don’t see your favorite program on the list? Tell us about it here.